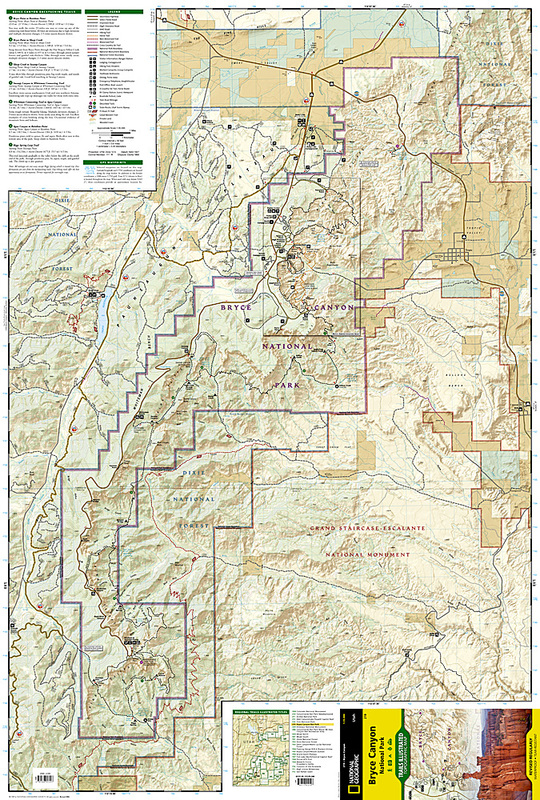 Bryce Canyon National Park Map [ti219] - $10.95 : Trail Explorers Outpost, Keeping the Adventure Alive! National Geographic’s Trails Illustrated map of Bryce Canyon National Park is designed to meet the needs of outdoor enthusiasts by combining valuable information with unmatched detail of this unique landscape of hoodoos and forest. Created in partnership with local land management agencies, this expertly researched map will help you get the most from your visit with backpacking and day hike trail summaries, accurate road network, trailheads, campgrounds, lodging, and scenic viewpoints. The map features many key points of interest including Rainbow Point, Ruby’s Inn, and Natural Bridge. Portions of Grand Staircase – Escalante National Monument and Dixie National Forest are included as well. 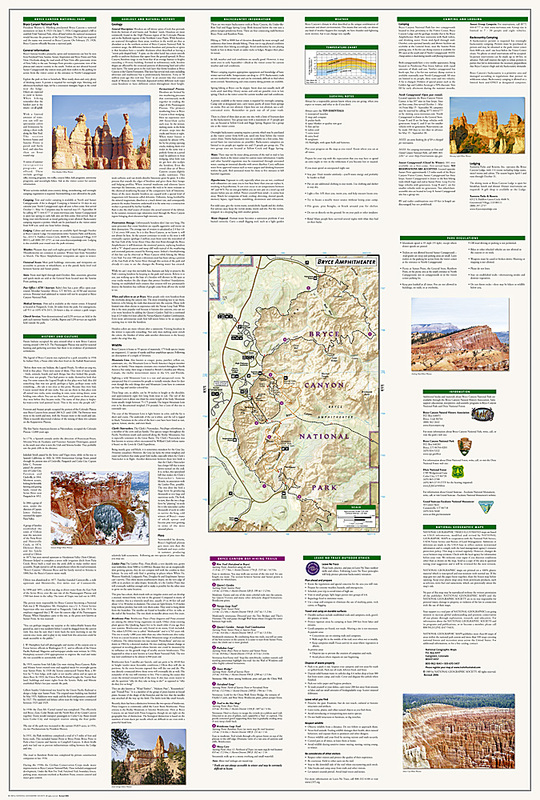 The print map includes an inset of Bryce Amphitheater, information on the park’s geology, natural history, weather, history and culture, regulations, and more. With miles of mapped trails including Great Western Trail, cross-country ski trails, and horse routes, this map can guide you off the beaten path and back again in some of the most breathtaking scenery in the region. Mileages between intersections are shown and the map base includes contour lines and elevations for summits and passes. Other features found on this map include: Bryce Canyon National Park, Dixie National Forest, Pink Cliffs.